Posted on October 23, 2015 by RACZsite Posted in Events	. Posted on October 22, 2015 by RACZsite Posted in Events, Music	. 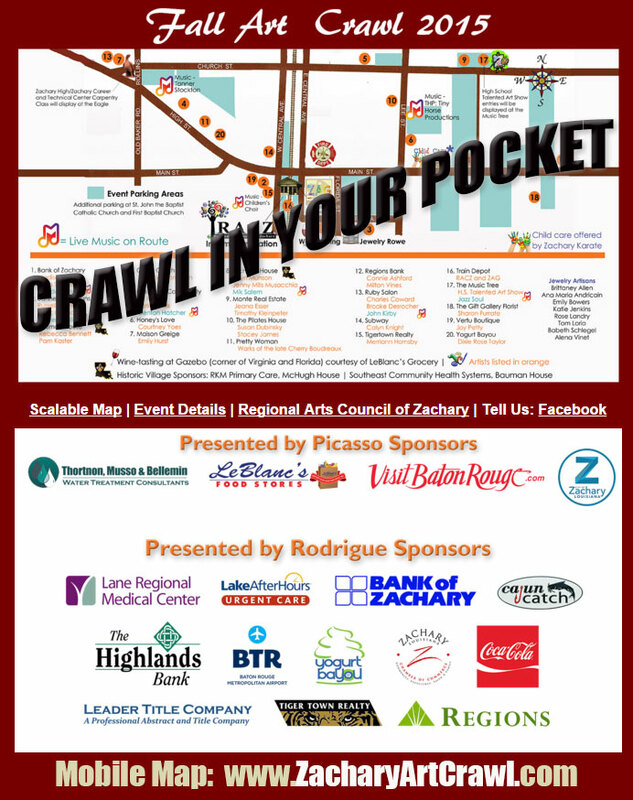 The 4th annual Fall Art Crawl, set for Friday, October 23, 2015 in Zachary, will be a celebration of the arts featuring the works of local and regional artists, jewelry artisans, high school students, live music, wine-tasting, food and fun for all ages. Zachary’s Business and Historic Districts provide the backdrop for the evening with more than 20 businesses and historic locations opening their doors and extending their hours for the event. The “crawl” begins at 6 p.m. and patrons can navigate the stops at their leisure until 9 p.m. The works of more than 30 artists and groups of student artists will be on display and for sale. A wide range of art mediums will be featured including oil, acrylic, watercolors, and wood-working. Participating artists are Madison Petty, Della Storms, Russell Dietrich, Marc Girouard, Rebecca Bennett, Pam Kaster, Grace Thompson, Jill Mulkey, Patrick Tiek, Courtney Yoes, Emily Hurst, Arlyn Munson, Jenny Mills Musacchia, Jeana Esser, Timothy Kleinpeter, Susan Dubinsky, Stacie James, the late Cherry Boudreaux, Connie Ashford, Milton Vines, Charles Coward, Brooke Desrocher, Calyn Knight, Merriann Hornsby, Sharon Furrate, Joy Petty and Dixie Rose Taylor. Parking is available along the route and at City Hall Annex. 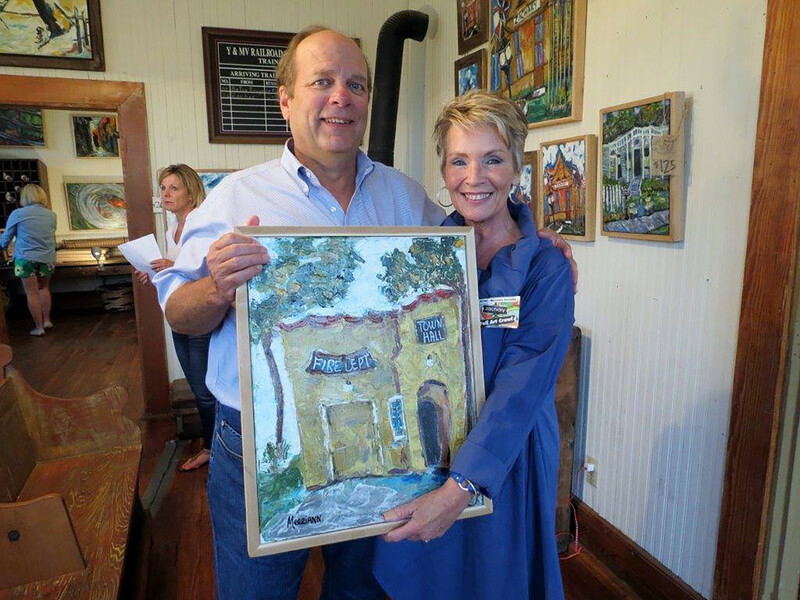 Patrons can visit the Zachary Train Depot, where RACZ members will distribute maps and event information and a silent auction sponsored by the Zachary Artists Guild will be held from 6 to 8:30 p.m. 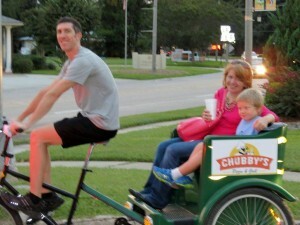 Participants can choose to “crawl by cab” with the assistance of a fleet of pedicabs that will provide free rides across the business and historic district. Child care, ages 4 and older, during the three-hour event will be provided at Zachary Karate for $15 per child with special family rates available. LeBlanc’s Food Store will sponsor free wine-tasting at the Pavilion located in Zachary’s Historic Village on Virginia Street. This location will also provide the home for one of the Art Crawl’s new features, the Jewelry Rowe. The pavilion will be surrounded by seven artisans specializing in handcrafted jewelry and accessories. Participating jewelry artisans are Brittaney Allen, Ana Maria Andricain, Emily Bowers, Katie Jenkins, Rose Landry, Tom Lorio, Babeth Schlegel and Alena Vinet. 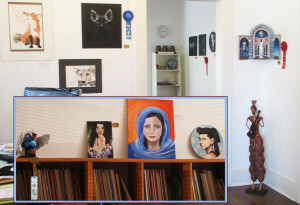 Another 2015 first will be a judged art show featuring the Talented Art program students of Zachary High School and Woodlawn High in Baton Rouge. The high school art show will be held at the Music Tree Prep School, 4833 Church Street. 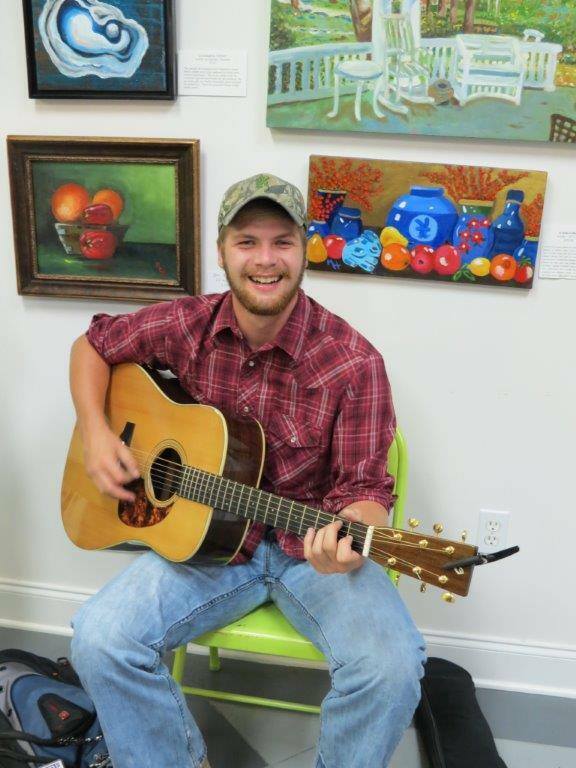 Lee Randall, Gifted and Talented Art teacher from Runnels Academy will judge the art show. Adding to the showcasing of student work, the Zachary High and Zachary Career and Technical Center Carpentry Class will display at the wooden eagle statue next to the gazebo where Church and High streets come to a merging point. Live music from solo acts and groups will be spread throughout the event route. The nine musical acts are Brandon Routh, Michele Willis, Denton Hatcher, Mik Salem, John Kirby, Jazz Soul, Tanner Stockton, Tiny Horse Productions and the Children’s Choir. 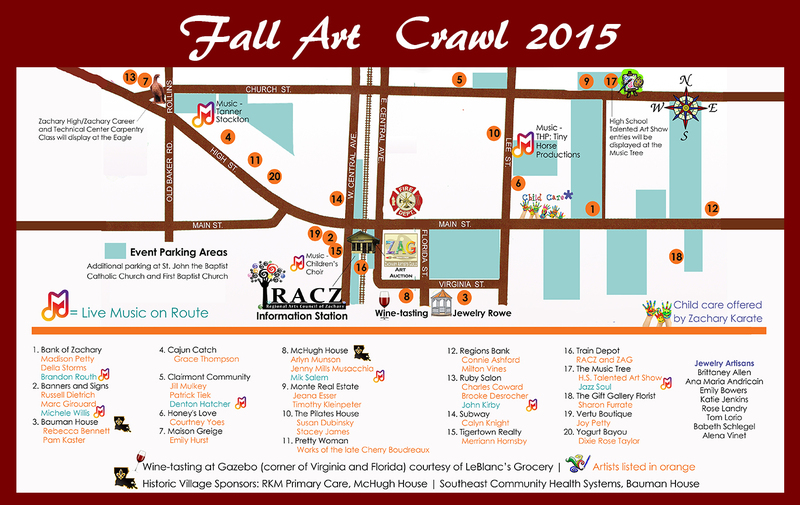 Tags: Art Crawl, Events, Visual Art	. Posted on October 14, 2015 by RACZsite Posted in Events, Music, Uncategorized	.